Malaysiakini : INTERVIEW | Back in 2015 when news about the 1MDB scandal first broke, then prime minister Najib Abdul Razak had famously claimed that the RM2.6 billion found banked into his personal bank accounts had been from an Arab donor. This claim was swiftly backed up by his newly installed deputy at the time, Ahmad Zahid Hamidi who claimed to have personally met the donor. The identity of the Arab donor has never been revealed. 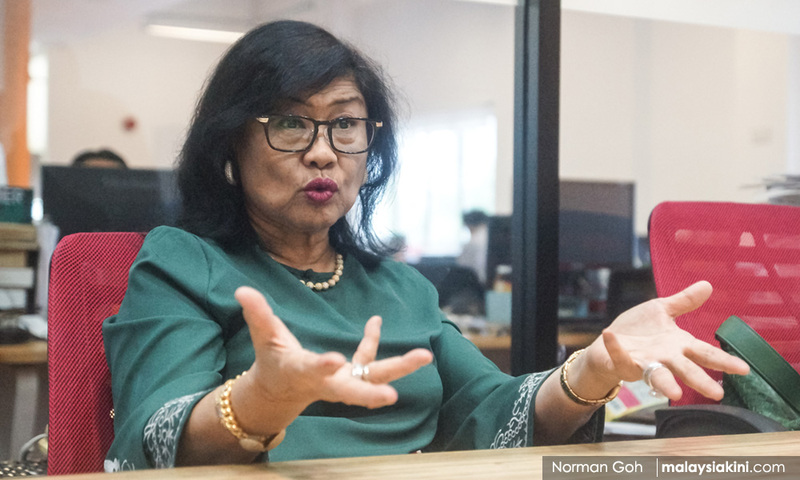 Almost three years on and as investigations into 1MDB intensify under the new Pakatan Harapan government, Zahid’s claim has now come under scrutiny by former international trade and industry minister Rafidah Aziz. “It must have been in his dreams. Zahid must have seen the apparition of an Arab. Because nobody has been able to pin down which Arab (donated the money). “In the first place, which Arab has that much money and nett assets to donate RM2.6 billion?” she fired in her trademark no-holds-barred style that earned her the nickname as Malaysia’s “Iron Lady”.